Patients with bipolar disorder with a history of psychotic symptoms demonstrated a decreased FDG uptake in the right fusiform gyrus. Altered glucose uptake in certain key regions in the brain may serve as a potential biomarker for key features in bipolar disorder, especially when accompanied by lifetime psychosis, according to study findings published in Bipolar Disorders. In the discipline-wide search for biomarkers of psychiatric illness, “[metabolic] investigations are of great interest,” the researchers stated, as “metabolic modification arises before gross morphological alteration and subtend functional networks.” The study researchers investigated differences between patients with bipolar disorder that was or was not accompanied by lifetime psychosis, a feature of bipolar disorder associated with worse quality of life. Patients were recruited from the inpatient psychiatric unit at the University Policlinico Hospital in Milan, Italy. Participants (N=90) met the criteria for bipolar disorder according to the Diagnostic and Statistical Manual of Mental Disorders, 4th edition, and were grouped according to lifetime psychosis status: 50 with psychosis (average age, 37) 40 without (average age, 44). The only notable clinical or demographic difference between the groups was age, and most patients exhibited mild symptomatology. 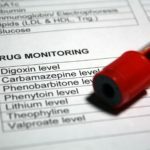 Patients underwent a standardized protocol in which they were intravenously administered fluorodeoxyglucose (FDG), a tracer used in positron emission tomography (PET) scans that marks tissue uptake of glucose. PET scans revealed that compared with healthy controls glucose uptake was altered in patients with and without psychosis. Moreover, uptake alterations differed significantly in patients with psychosis compared with patients without psychosis in regions associated with emotional regulation that have been implicated in other investigations. Patients with bipolar disorder without a history of past psychotic symptoms demonstrated decreased FDG update in the middle occipital gyri bilaterally along with increased FDG uptake in the insula and inferior temporal gyrus in the left hemisphere and the inferior temporal gyri in the right hemisphere. Patients with bipolar disorder with a history of psychotic symptoms demonstrated decreased FDG uptake in the right fusiform gyrus compared with patients without a history of psychotic symptoms. Although age was a controlling variable in the analyses, the investigators underscored the demographic differences between the groups with and without psychosis. In addition, they noted, long-term mood stabilizer and antipsychotic use differed between groups, and may have influenced the study findings.